The solution is simple to stop windows 10 tablet PC from going to auto sleep mode, this solution is also for Windows 8.1 and Windows 7! 1.) ... Please open the power options setting in Windows 10. 2.) ... Change Power Plan setting in Windows-10! 3.) ... 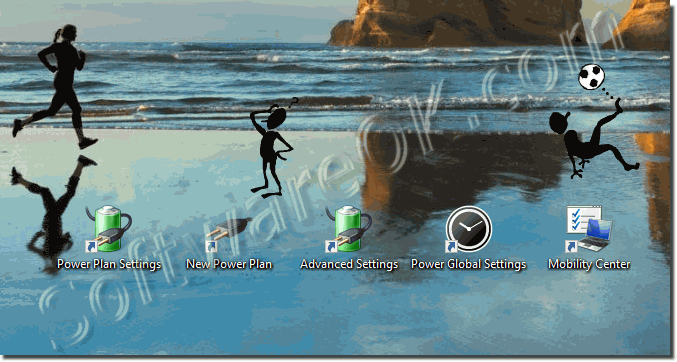 Create Windows 10 Desktop Shortcut for Power Plan Settings! 4.) ... Temporarily disable sleep in windows -10! 1.) Please open the power options setting in Windows 10. (Image-1) Power Options Settings in Windows-10! A Windows-10 power plan is a collection of hardware and system settings that manage how your Windows-10 computer uses power. Please use power plans to reduce the amount of power your Windows 10 computer uses, maximize performance, or balance the two. 2.) 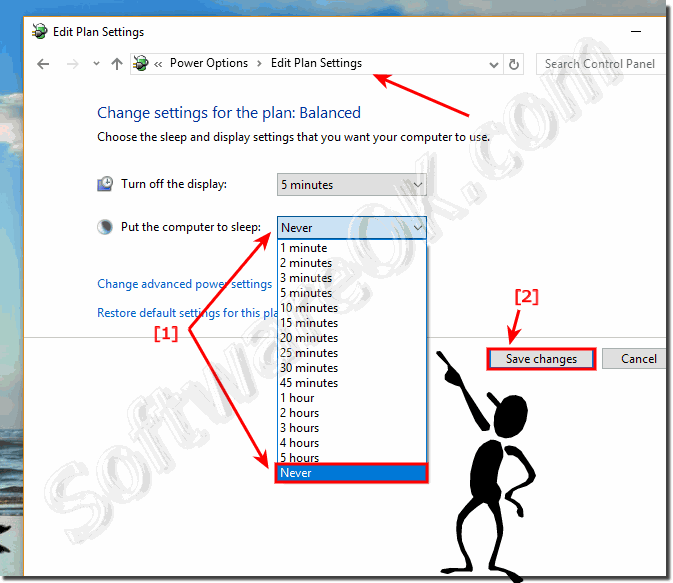 Change Power Plan setting in Windows-10! In Edit Plan Setting Window please disable or customize sleep settings for Windows 10 and save the changes! (Image-2) Windows 10 tablet PC disable sleep mode! 3.) Create Windows 10 Desktop Shortcut for Power Plan Settings! Here the commands for the Desktop Shortcuts! See also: Adjust screen brightness on Window-10 tablet PC via Mobility Center! 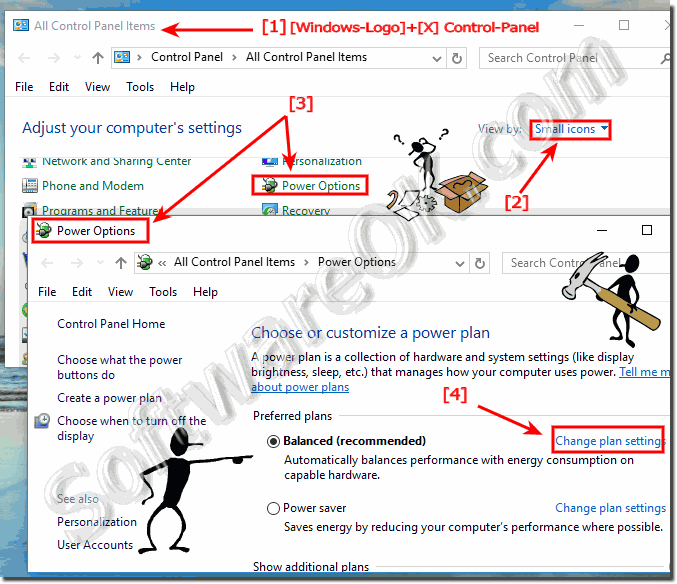 (Image-3) Shortcuts for windows poWer plan! 4.) Temporarily disable sleep in windows -10! If in Windows 10 the energy options is very set on ENERGY EFFICIENCY, it may happen that the windows go faster sleep, than it is necessary, even if the programs are working and have not completed their tasks. 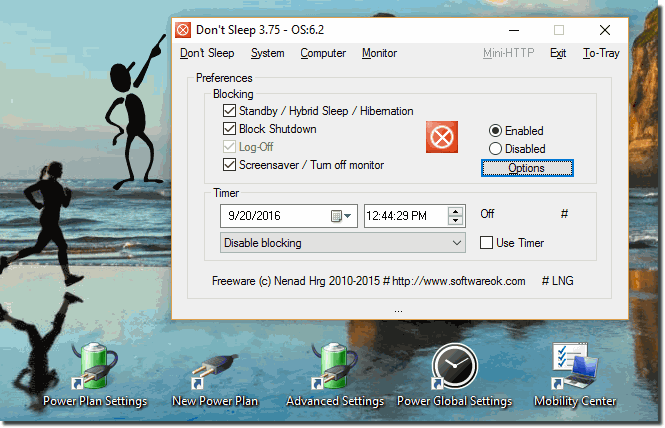 (Image-5) Temporally disable sleep mode in Windows 10! On most Windows-10 computers, you can resume working by pressing your computer's power button. However, not all computers are the same. You might be able to wake your Window-10 computer by pressing any key on the keyboard, clicking a mouse button, or opening the lid on a laptop. Check the documentation that came with your Windows-10 computer or go to the manufacturer's website. Windows-10 - FAQ-154: Disable auto sleep mode on windows 10 tablet PC, how to?